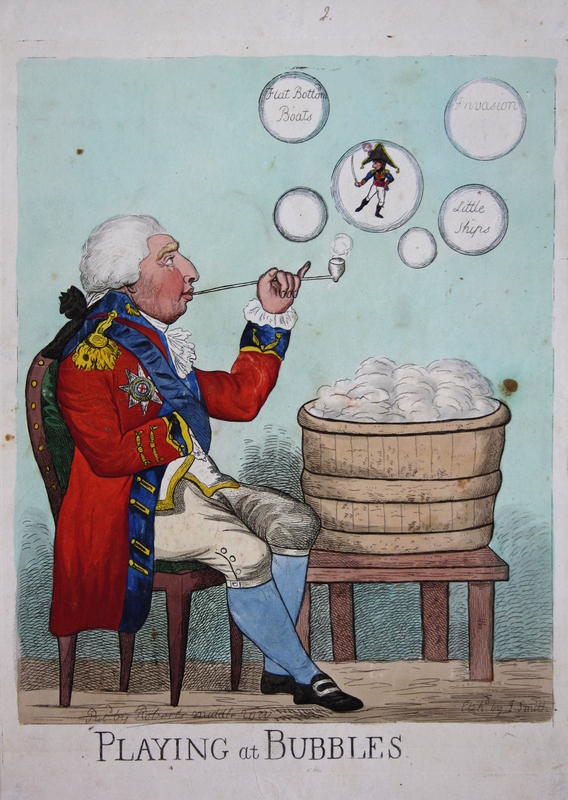 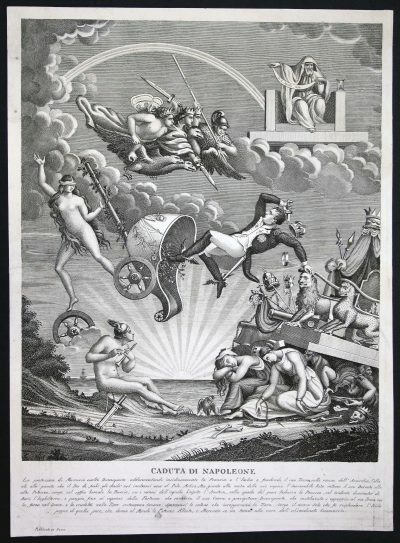 George III sits beside a tub of soap-suds, blowing soap-bubbles. 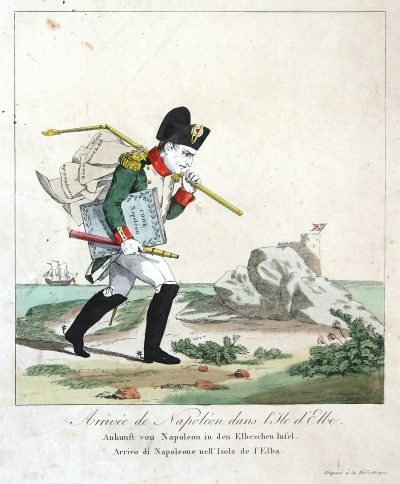 One bubble contains a tiny Napoleon, with drawn sabre. 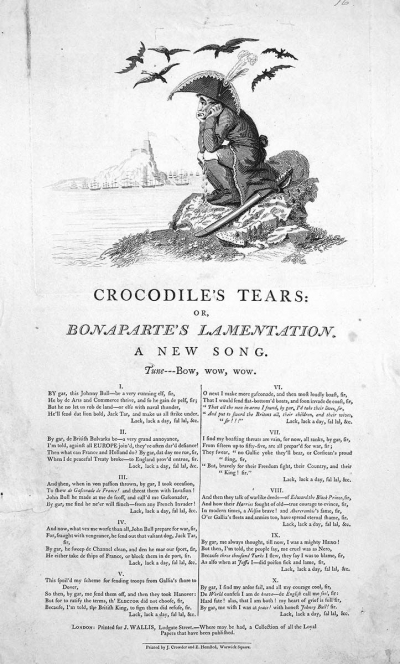 Three others contain the words ‚Flat Bottom Boats‘, ‚Invasion‘, and ‚Little Ships‘. 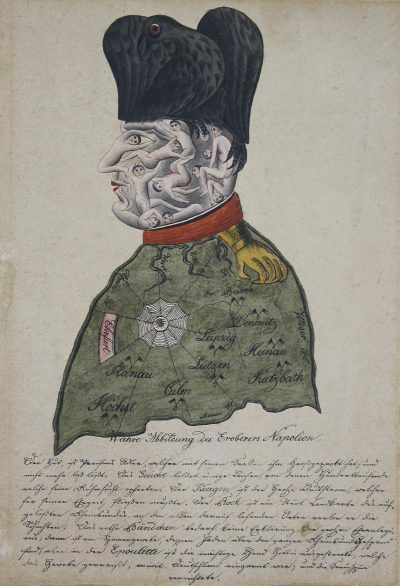 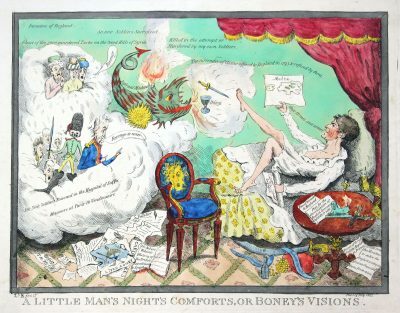 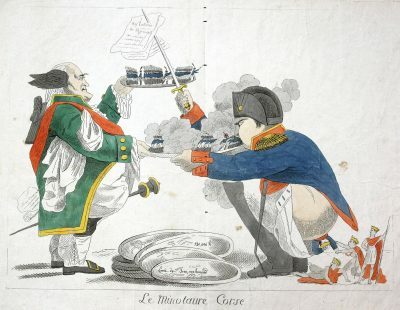 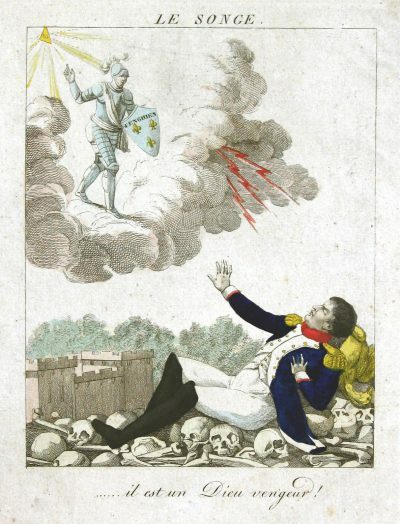 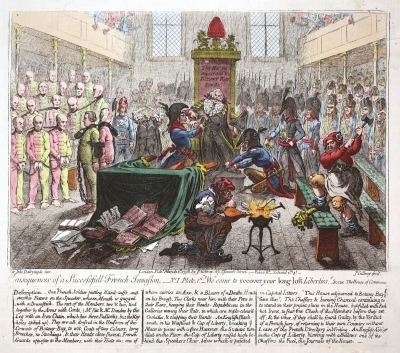 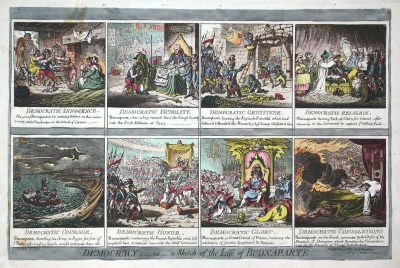 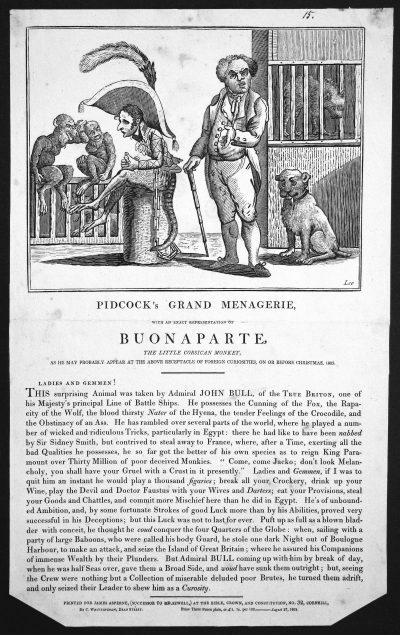 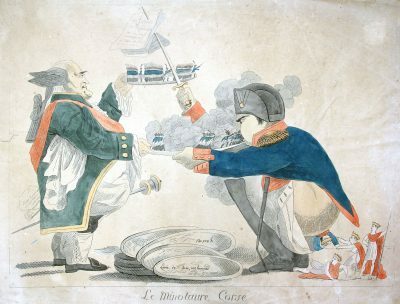 One of several carictures depicting King George III musing over Napoleon. 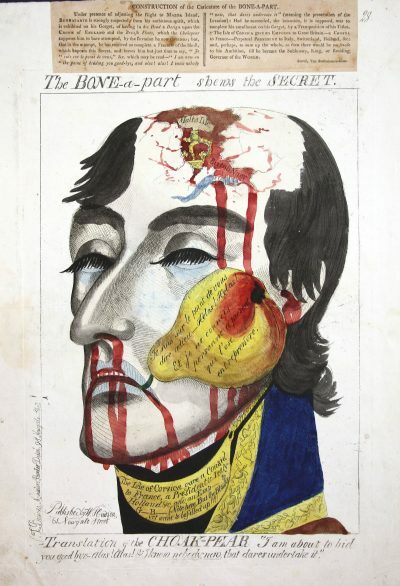 According to the records of London, Joshua Smith was taken on as an apprentice by Piercy Roberts in April 1799.